Designed to be used in the washing machine on natural and synthetic leather, fabric and sheepskin items. 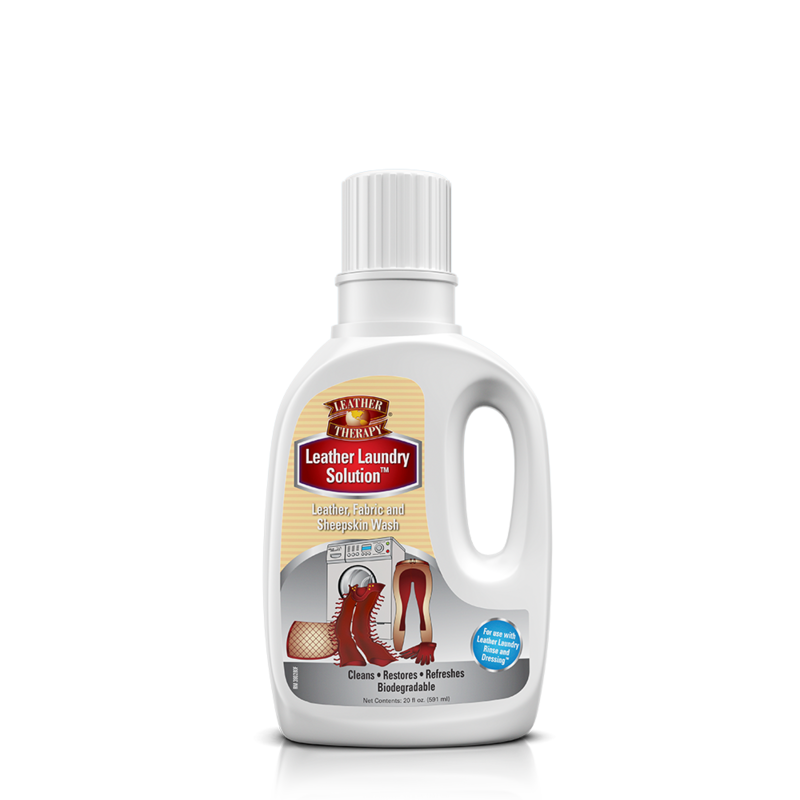 It restores the soft feel of suede or smooth leather, fabrics and fleece; one wash will bring comfort and life back to the leather. Laundry Solution works by removing abrasive dirt particles while adding rich leather and fabric conditioners. The patented formula is pH neutral and ideal for use on full seat breeches, full and half chaps, leather riding gloves, sheepskin saddle pads and leather clothing. Light soiled articles – delicate – smooth leathers – wool fleece: 1-2 capfuls. Remove items and dry naturally away from direct heat. Never use a hot wash cycle, and never put leather items in a dryer. 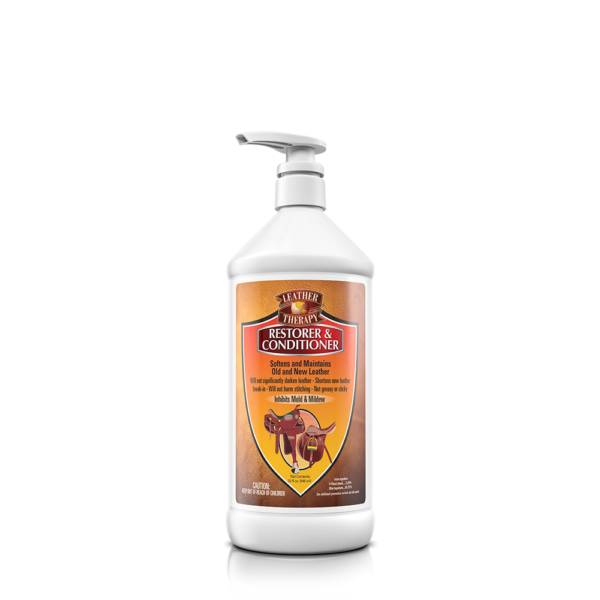 For even more flexibility, softness and protection from fading, use Leather Therapy Laundry Rinse & Dressing in the rinse cycle and/or as a wipe-on application.